When we send our children to the doctor, we assume doctors and healthcare providers have been screened for any issues in their backgrounds. A recent case from the Massachusetts Supreme Judicial Court (SJC), Roe No. 1 v. Children’s Hosp. Med. Ctr., centers on this issue. In Roe No.1 (Roe being used in place of the name for plaintiff who is a minor), a doctor was hired by a Boston pediatric hospital in 1966 to work as a pediatrician. The doctor held the position until leaving the hospital in 1985 to work as a pediatrician at an out-of-state hospital. After 24 more years of working as a pediatrician, he voluntarily surrendered his license to practice medicine in the face of allegations that he performed a number of unnecessary genital examinations on his patients. While these genital exams are alleged to have occurred at the hospital he worked at after leaving Boston, the plaintiffs brought a lawsuit in Suffolk County in which they claimed that the Boston hospital was negligent in training and supervising the doctor while he was employed there and that the hospital knew or should have known that he was performing inappropriate genital exams on children in his care. As a consequence of this negligence, plaintiffs argue he was able to move to another hospital and continue to abuse children while working as a pediatrician. One of the allegations was that the mother of a young boy in the doctor’s care complained to the hospital in 1967 that her son was abused. Plaintiffs also plead under information and belief that other patients made similar complaints to the Boston Hospital. As our Boston personal injury attorneys can explain, one of the common claims brought against a supervisor of an employee is an action for negligent supervision or negligent retention of any employee that the company knew or should have known was capable of harming plaintiff. The manner in which a claim is brought against an employer for an employee’s conduct is known by personal injury attorneys as respondeat superior. The reason that a plaintiff would want to bring the employer into the lawsuit is that the employer typically has more money and higher insurance to pay a judgment. In Roe No. 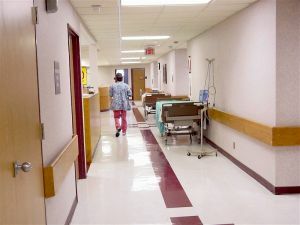 1, defendant filed a motion to dismiss the claim, arguing that Massachusetts law does not establish a duty of care owed to patients who were not injured at their hospital or by someone employed by them during the time the injury occurred. The trial court allowed the motion to dismiss the action. Plaintiffs appealed that ruling. The only issue considered by the SJC was whether defendant owed any duty of care to protect plaintiffs from abuse that occurred by someone no longer employed by them. While the court noted that there is no question that the hospital owes a duty to protect patients seen by doctors employed by them, they no longer owe a duty to prevent harm caused by a former employee in a jurisdiction hundreds of miles away and many years later.